Tracking of files and folders, ease of collaboration, document editing, embedded uploading and enhanced security are the highlights of the FileCloud release 8.0. We are happy to announce the release of FileCloud 8.0. As one of the leaders in On-Premise EFSS market, we are proud to say that we are marching ahead and setting the standards with the release of FileCloud 8.0. FileCloud 8.0 comes with a number of new features such as activity stream, comments, document editing and embedded uploading. Followed by enhancements in the areas of security, admin interface and much more. Are you a part of a team that uses FileCloud to keep track of Files and Folders? The new activity stream feature provides a single, easy to view place to review every action taken on your files and folders in FileCloud. Any action such as adding a new presentation, updating a spread sheet, removing a document, sharing a document with your team, downloading an image will be tracked. As part of the tracking, you will see a continuous stream of actions that have taken place on your files and folders. The actions are grouped and presented to you in a daily, weekly and monthly timeline. 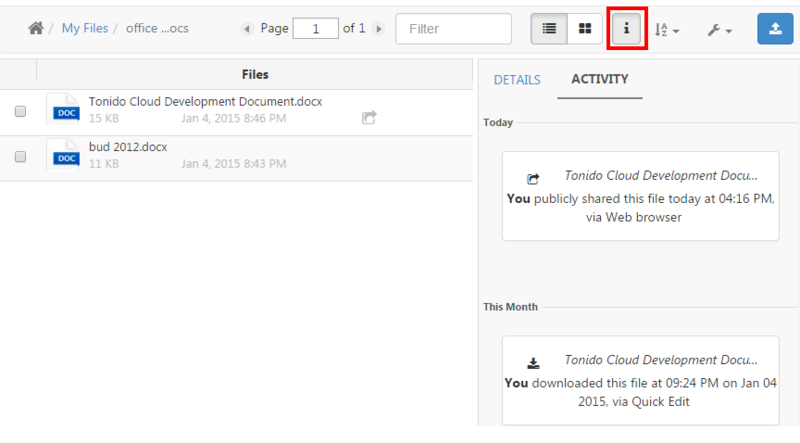 To enhance the powerful feature of the activity stream, FileCloud 8.0 supports adding and deleting comments on an individual File or Folder. This awesome feature aids collaboration and takes the team communication to the next level. For example, a project leader can add a comment on a file that was sent for review. The comments section of the activity for each file or folder, will display who commented what and when. Learn more about Activity Stream and Comments feature here. Want to speed up the process of updating a document in the cloud? FileCloud 8.0 supports the Quick Edit feature on a Word document, Excel Spread sheet or Power point presentation. You no longer have to download, open, edit, save and upload the saved version back to the cloud. 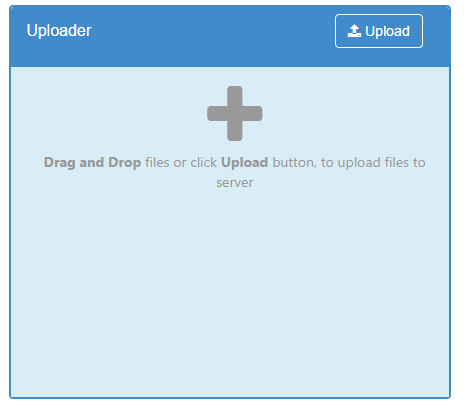 The quick edit feature allows you to select a document from the FileCloud Web User Interface, open, edit and save the document as a new version without the need to actually download and upload the file to the FileCloud server. This is a great time saving feature that will improve productivity. FileCloud 8.0 comes with improved security for FileCloud User Interface, admin interface and Mobile devices. Account lockout support is added in both FileCloud User Interface and Admin Interface. After 5 incorrect login attempts the account will be locked out for 5 minutes. The account lockout rules can be set in the Admin User Interface settings. 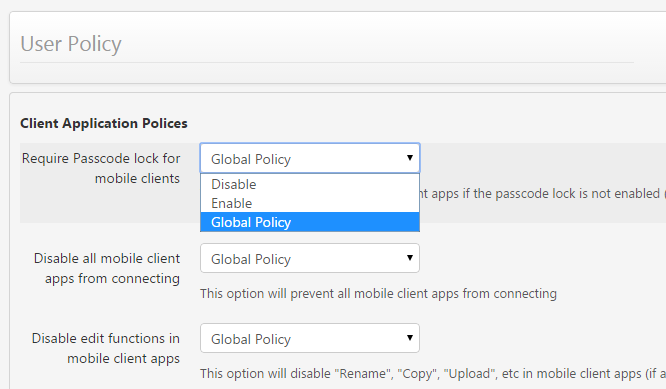 FileCloud 8.0 also comes with improved support to set the Mobile device application policy. Starting with FileCloud 8.0, you can disable and enable specific feature such as download, share, print etc for all FileCloud users or specific FileCloud users. You can set the mobile policy from the Admin User Interface. Based on user feedback, we have made a number of enhancements to admin interface. FileCloud 8.0 comes with better user experience to edit and preview email templates, customize email subject line, clean user’s recycle bin, view previous version and better support to export audit records. 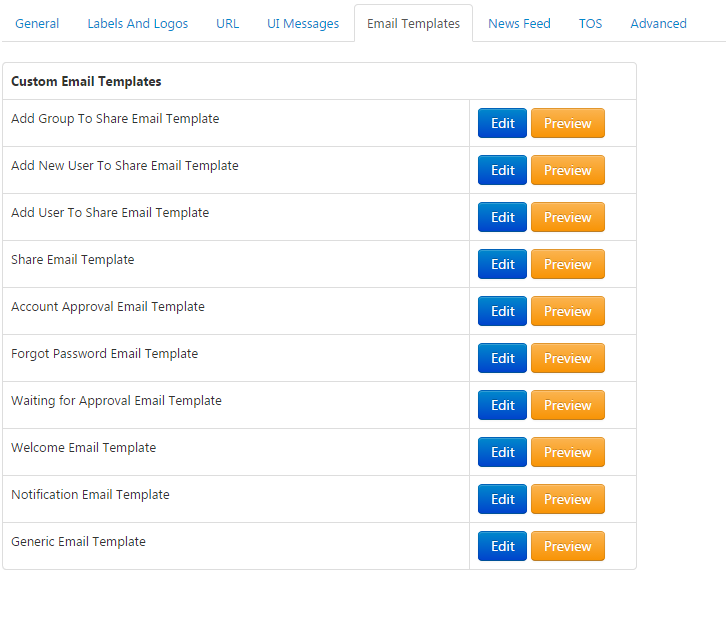 Starting with FileCloud 8.0, email templates are presented in a clean tabular format that enables admins to edit and preview the email content. Admins can also customize the subject line for each email. Admin can go to a user account and delete the recycle bin contents and view and delete previous version of individual files within the user account. FileCloud 8.0 also comes with a number of minor features and improvements in the areas of Sync, Sharing, WebDAV and much more. For the full release notes click here.